It has been a hot and rainy week so far at Bellerive. During practice rounds, the best players in the world have been making the most of their time, getting in as many holes as possible between weather warnings and mandatory course closures. Despite the delays, it’s important to remember that all 156 players in the field are dealing with the same obstacles in their pursuit of the Wannamaker Trophy and the final major of the year. With increasingly wet conditions, brutally thick rough, demanding bunker shots, and dramatic risk/reward opportunities, choosing the right equipment will play a pivotal role in positioning Team TaylorMade for their shot at major glory at Bellerive. Explore the equipment in play for the best of Team TaylorMade, and be sure to continue down the page to see a shot-by-shot breakdown of the winning strategy for Bellerive’s final two holes. The 4-time PGA Championship winner has proved he’s back competing at golf’s highest level. 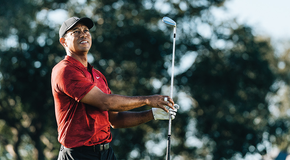 He has been right there down the stretch in several PGA TOUR events and major championships in 2018, and Tiger looks to make history and punctuate his remarkable comeback at his Bellerive debut. 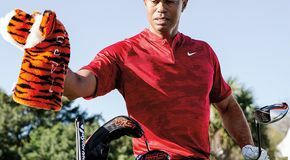 Equipment Notes: Tiger is opting for a UDI (Ultimate Driving Iron) this week as finding the fairway is paramount at Bellerive. World No. 1 enters the PGA Championship fresh off a recent win at the RBC Canadian Open and a 10-under weekend at the WGC Bridgestone, rolling with his new Spider Mini Silver. 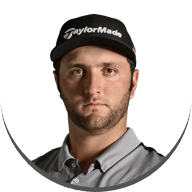 There’s no question that DJ has the power to take on a long and wet Bellerive, but now that he’s found his stroke with a new flatstick, he will be an all-around threat at the PGA Championship. Equipment Notes: DJ made a surprising mid-tournament switch to a Spider Mini putter during the Bridgestone Individual and putter lights out en route to a 10-under weekend. Last week, Rory found himself in contention at the WGC Bridgestone, entering his Sunday round in the final group. 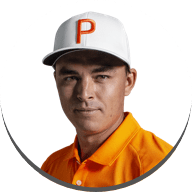 While he wasn’t able to chase down the eventual winner at Firestone, finished 2nd in average driving distance (340 yards)—an advantage that should be magnified with Bellerive’s wet conditions. 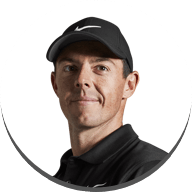 Perhaps this is the week that Rory can drive his game into that extra gear and separate himself from the pack for his 5th major championship. One of the key insights heading into the 100th PGA Championship has to do with Bellerive’s unique green complexes and bunkering. HUGE greens are protected by big, deep bunkers, which will often force long greenside bunker shots in order to get close to the pin. 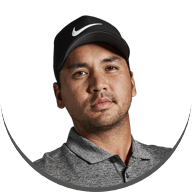 Luckily for JDay, he is currently No. 2 in sand save percentage and No. 5 in sand saves from 20-30 yards on the PGA TOUR—two stats that bode well for the 2015 PGA Championship winner. Always a force in major championships, Justin Rose enters the week as the No. 2 player in scoring average (69.081) and Strokes Gained: Total (2.082). With wet conditions, you would typically expect scoring to go low, and based on Rosey’s statistical dominance this year, his game is in a great place to take his scoring average even lower and give himself a shot at his second career major. Equipment Notes: Rosie shook up his bag makeup with new P790 2 & 3-irons, replacing his M4 5-wood and P790 4-iron. He also removed his P730 PW, bent his two MG wedges strong (1° for his 50, 1.5° for his 56), and lowered the bounce of his HI-TOE with an aggressive leading edge. 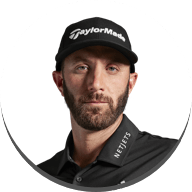 In just his second full season on Tour, Rahm as already risen atop the Official World Golf Rankings, remaining inside the top-10 players for all of 2018. 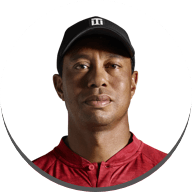 This year, he has also accumulated 3 worldwide victories, but now, his focus shifts to the final opportunity to capture his first major victory before the season comes to a close. 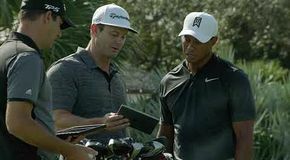 In any Tour event—particularly a major—strategy plays an integral role in positioning players for success on the championship stage. This year, Bellerive presents several risk/reward holes, including the par-3 6th that infamously boasted a 4.02 scoring average at the 1965 U.S. Open and the drivable par-4 11th that is protected by water looming down the right-hand side. But it's down the final stretch where championship moments are most likely to be made. In the videos below, Bellerive's Director of Golf, Mike Tucker, shares his strategy for setting up a potential eagle on the par-5 17th and discusses the decision-making that will face the world's best on the final hole of the 100th PGA Championship. Be sure to tune in this weekend to see the equipment in play from Team TaylorMade, and hold your breath as the best in the world come down the stretch at Bellerive. Whatever strategy they decide to use, the 100th PGA Championship is setting up to be a low-scoring thriller.